CrytoLocker Virus is Back. Are You Ready? 18 Nov CrytoLocker Virus is Back. Are You Ready? Severely infected computers send viruses to other users across the network by using contact list of your email software and shared resources within your office. Having an IT force at your side can help, but the best prevention is education. So before you download that attachment, make sure you read these guidelines to keep your network safe. Do NOT open an attachment if you don’t know what it is. Use caution when opening attachments that you weren’t expecting or that you don’t know the content. Computer viruses are sent via e-mail attachments and can compromise your computer, data, financial and personal information. When an email attachment has a file extension ends with .zip, .exe, .com, or vbs, 99.9% of the time contains viruses, Trojans, Malware or Spyware. Zip files are compressed files. The purpose to sending/receiving Zip files is to make attachment size smaller or send multiple files into 1 compressed file. 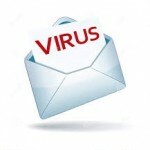 Hackers use zip files to bypasses the virus/spam protection. These attachments may look like they are from someone you know. If your not sure what it is, or were not expecting the email, chances are that these attachments could be infected since their computers are infected. If you open these attachments the l your computer will get infected. Now all your contacts will receive an email (from you) with infected file as an attachment. If you see an email like the ones below, you can notify the sender that their computer is infected and then delete the email. Your bank institution won’t send you an email requesting information or attachments (unless it is a banker from your branch or something you were expecting), statements, requesting to re-enter about your personal information or a wire transfer via email, unless you have alerts setup. 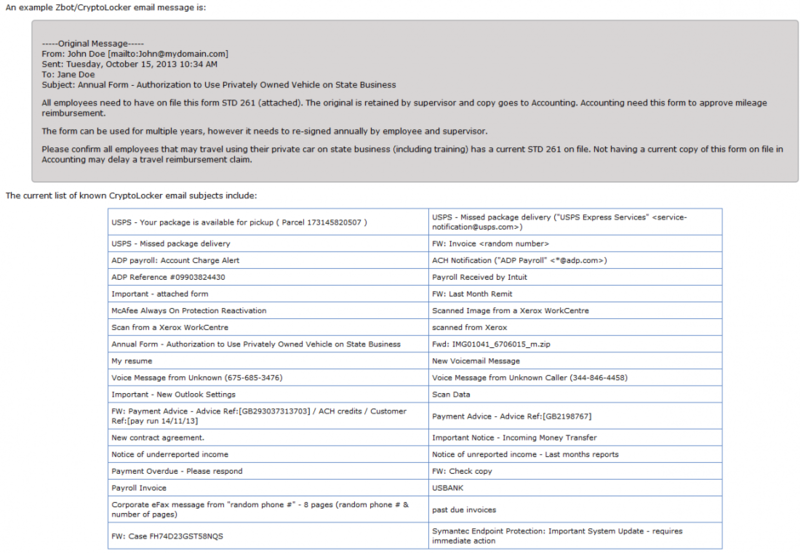 The purpose of those emails is to obtain account information from the users. Whenever you open a link on these emails, they copy the design of the website making it look legit and the user enters information about their account, next day you will find out the account has been compromised. IRS/Equifax/Transunion/ won’t request any information via email, if they do most likely will be via regular mail. Dismiss these emails and don’t open these links. Whenever you win or got something for free over an email, the only thing that you can win is a big problem. Delete these emails immediately. DO NOT post your email on web sites, forums, or in chat rooms. Otherwise, you run the risk of inviting spam into your inbox. If you have to use an email to subscribe to a newsletter or website and receive a confirmation meail, consider using an address that is not linked to any of your personal information. For example: sample@gmail.com. Make an email Backup. Having a hardcopy of important documents is essential, especially if your email client crashes and loses data. If the FBI, NSA, Department of Homeland Security, or CIA has blocked your computer with a pop-up, these are signs of infections. These pop ups are to cheat users to gain financial information. Fake Antivirus protections and optimizers can pop-up during an infection not allowing you to work peacefully. These viruses request users to enter credit card information or do a transfer to an account to release their computers, please report these issues immediately. Have an updated operating system. Have an updated Antivirus protection. Have an up-to-date network firewall and gateway security to prevent future attacks. Scan your attachments on this website: www.virustotal.com (this will scan your attachment with 60 different antiviruses in seconds). To do so, save the attachment without opening it and upload the file into the website.